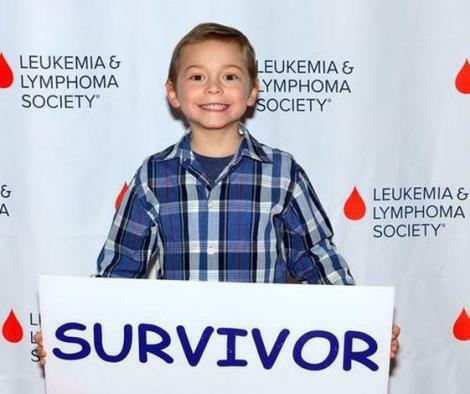 Ryan was diagnosed with acute lymphoblastic leukemia (ALL) in February 2017, at just 4 years old. Today, Ryan is in remission and in the maintenance portion of his therapy. He is now an active little guy who loves hockey and can’t wait to start kindergarten this fall. Ryan is supported by his parents Nicole and Jim, his older brother Luke and all the members of Team Ryan. The team was first involved in 2017, then his mom, Nicole, ran for 2018 Woman of the Year. The family immediately embraced LLS and has been supporting anyway they can.